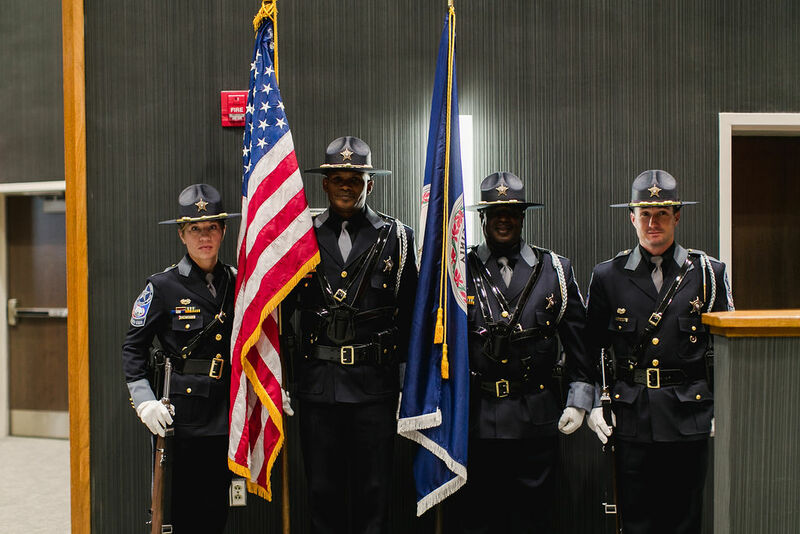 Membership in the Virginia Sheriffs’ Association (VSA) is limited to currently employed Virginia sheriffs, deputies (sworn) and sheriffs’ office staff members (non-sworn). If you are not a member of the Virginia Sheriffs’ Association, please consider joining one of the most active law enforcement organizations representing public safety in Virginia. VSA maintains significant involvement in the Virginia General Assembly to improve professionalism in law enforcement and to enhance working conditions for sheriffs and deputies throughout Virginia. Deputy sheriffs and sheriffs’ office staff can join VSA for only $30 a year, which includes a year’s subscription to the Association’s e-newsletter, the Virginia Sheriffs’ Dispatch, a membership card and a window decal. To join, please fill out the form below and send it in with payment to 901 East Bryd Street, Suite 1301, Richmond, VA 23219, Fax 804-225-7162 or e-mail [email protected].